Release date TBD: A multitool advisory practice management program for Wells Fargo Asset Management. Publication forthcoming: New article on the impact of philanthropy on legal and financial advisory practices, written for The Chicago Community Trust. November: Kickoff of the 2019 Annual Campaign narratives and materials for the YMCA of Great New York. October: Municipal fixed income presentation for Wells Fargo Asset Management. September: Fundraising campaign for the medical school consortium Rosalind Franklin University. April: The average age of financial advisors in the USA is about 50 years old, but to protect the health and long-term prospects of their practices they should increasingly focus on Millennial clients (age 36 and younger). This is the key message of new research conducted by Wells Fargo Asset Management, for whom I wrote the CE credit keynote presentation and associated materials — all directed at the advisory community. Of related interest: Also contributed to new Wells Fargo Asset Management whitepapers on investor attitudes toward ESG investing and retirement income. Spring: New series of donor profiles for the YMCA of Greater New York. November: Launch of the YMCA of Greater New York’s 2018 Annual Campaign. September 26: Publication of The Chicago Community Trust: a history of its development 1962–2015, a new volume covering the latter 55 years of the Trust’s 100-year history in Chicago philanthropy. Authored by Terry Mazany, ghostwritten by Michael Vitali. May 21: Recorded and published All the Days Ahead, a musical narrative, on YouTube. April 1: Publication of Exponent(50): A tribute to complexity. The sequel to Exponent(40), this book was ghostwritten by Michael Vitali and commemorated Exponent’s fifty years as a global multidisciplinary scientific and engineering consultancy with compelling but strategic narratives on more than fifty significant projects. End of year: Initial implementation of new marketing strategy for the Development arm of The Chicago Community Trust. November: Launch of the YMCA of Greater New York’s 2017 Annual Campaign. April 25: Hometown investing made simple — The official launch of Benefit Chicago, a new impact investment program for the Chicago area. Created by The Chicago Community Trust, the John D. and Catherine T. MacArthur Foundation, and Calvert Foundation, Benefit Chicago aims to mobilize $100 million in impact investments for nonprofits and social enterprises working throughout the Chicago region. See the case study. January: Research and consultation for a confidential new project, a pathbreaking collaboration of three unique organizations — which became Benefit Chicago. November 15–16: Concert of the year Marcio Faraco at the Kay Meek Centre in West Vancouver, BC. November: Launch of the YMCA of Greater New York’s 2016 Annual Campaign. October 7: President and CEO Terry Mazany gives the Chicago Community Trust’s State of the Community address at the Hilton Chicago. August 24: Visit to the Kohler Foundation’s restoration of Pasaquan in Buena Vista, Georgia. August 4: Rolled out a new website for Bridgeport Coffee Company. May 12: For its hundredth birthday, the Chicago Community Trust presents its second edition of the community conversation On the Table. This year 28,000 people throughout the Chicago region participated. 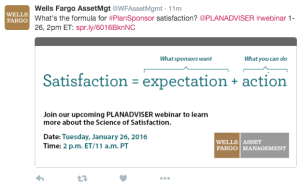 April: Completed Wells Fargo Asset Management‘s Science of Satisfaction program for financial advisors who consult with employer defined contribution retirement plans. April: Completed Deutsche Asset and Wealth Management whitepaper on mutual fund share classes in employer defined contribution retirement plans. April: Completed the Centennial stories for the Chicago Community Trust’s website celebrating its hundredth year of service. March: Rewrite of the Ensemble Capital website. June 18–20: Morningstar Investment Conference. May 19: Concert of the year Elbow at House of Blues Chicago. May 6: Presentation of a retirement investment gamification project in Charlotte NC. April: Personal finance prioritization project for Allstate. March: Profile of the Gardner brothers for JDRF. October 18: Grand Opening of Bridgeport Coffee in Roosevelt Collection / South Loop. September: Rethinking, reconceiving and relaunching of the Chicago Community trust’s development materials to attract donors. August 5: Grand Opening of Bridgeport Coffee in the Hyde Park Art Center. April 10–13: Management of the YMCA of Greater New York is attending NAYDO 2013, the North American YMCA Development Organization’s annual conference in Vancouver, to receive awards for its development achievements. One of those awards recognizes its 2013 Strong Kids Campaign, toward which I made creative contributions with Ted Studios (see November 2012 below). November: An extraordinarily exciting new Chicago nonprofit client. Details soon. November: New York City’s YMCA will kick off its 2013 Strong Kids campaign. Six strong kids tell their stories of how the Y helped them overcome obstacles and find inner resources. Theme, editorial and writing by MV. Watch the video. October: Two great weeks in Chilean Patagonia and Santiago de Chile. September: New major financial services client, a top-tier provider, confidential for now. August 24: Three articles about the YMCA of Metro Chicago. August/September: Major nationwide agent address for Allstate. June 20–22: Morningstar Investment Conference 2012. Preview here. Quick summary here. May: Major product launch for Allstate — IncomeProtector and GrowthProtector fixed indexed annuities. IncomeProtector video. May: Scripted 90-minute nationwide insurance agent address for Allstate National Forum, Las Vegas. May: Writing content for the 2012 Mid-Sized Retirement & Pension Plan Management Conference: The New Retirement Reality: Is Your Plan Prepared for 2012 and Beyond? April: The 2011 Annual Report for the YMCA of Greater New York. Called “one of the best annual reports I have seen in thirty years” by one of its executives. Creative concept, poetry [! ], interviews and writing by MV. February: YES Magazine, issue #2. See July 2011 below. December: Release of a new retail/wholesaling sales system concept for a Fortune 50 company. Details when possible. November 3. Tonight New York City’s YMCA kicks off its 2012 Strong Kids campaign: “I can’t tell MY STORY without the Y.” Six strong kids tell their stories of how the Y helped them overcome obstacles and find inner resources. Theme, editorial and writing by MV. Video here. October 27: A project I conceived and wrote for DWS Investments — the texting translation dictionary — won an MFEA 2011 Star Award. The magazine DWS active to which I sometimes contribute also won. October: Wrote content for a session of the 2011 Chicago Mid-Sized Retirement & Pension Plan Management Conference. July: The premiere issue of YES Magazine: a chronicle of support for the YMCA of Metro Chicago. 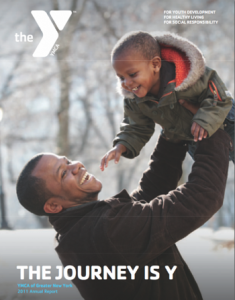 This quarterly (actually 3x per year, plus Annual Report) will document the donor, member and volunteer contributions to the YMCA of Metro Chicago. Name, concept, editorial voice and writing by MV. 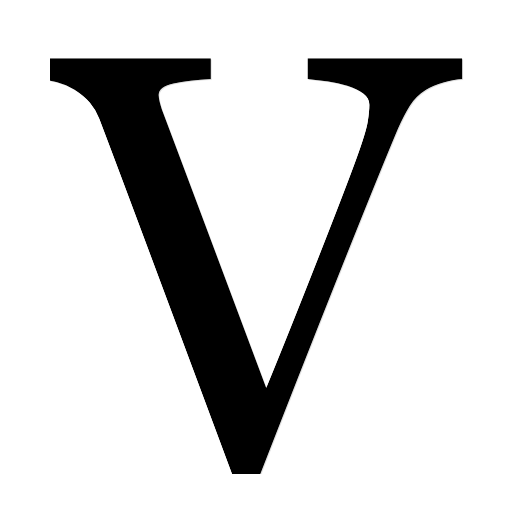 Now disambiguating men named Michael Vitali. As of June 15 this site also serves calls for michaelvitali.com. June: DWS Investments wins the 17th Annual Communicator Award of Excellence for its Payroll Direct Mailer. Concept, writing and the centerpiece of the campaign — the custom texting dictionary — by MV. April 28 – May 14: Bay View’s Soulstice Theatre gives American Enterprise by Jeffrey Sweet its Milwaukee premiere. Collaborating with Jeff, I researched, arranged and composed music and songs for the show 20 years ago for its debut production at the Organic Theatre in Chicago. March: Congratulations to DWS Investments for placing second in the 2011 Eddy Awards from Pensions & Investments Magazine in the category of ongoing education for retirement plan participants. January – April: New projects for DWS Investments, Encompass Insurance, the YMCA of Metropolitan Chicago, and others. Still secret. Details eventually. December 8: Attended the Global Metro Summit. December 3: The Biography Channel reruns one of the Biography episodes I scored way back in the twentieth century: “The Gambinos: First Family of Crime.” This 2-hour special begins with the story of Carlo who was born in Palermo but made his way to America to make his first million selling counterfeit ration stamps during WWII. Also follows his successor Paul Castellano, and of course, the reign of John Gotti. Friday, December 3 @ 8p ET. More details about my musical exploits, and specifically on music for television. November: Release of the Q4 edition of DWS active magazine for DWS Investments shareholders, including two articles of mine: “Real Assets: Commodities” and “Demystifying Derivatives.” Also included are my interviews with Tim Andriesen, head of agricultural commodities at CME Group, and with John Rekenthaler, vice president of research at Morningstar, who spoke about the use of derivatives in mutual funds. Also, a brief primer on the language of commodities. October 2–6: Zurich North America launches HelpPoint for Brokers at The Council of Insurance Agents & Brokers (CIAB) Leadership Forum hosted at the Broadmoor in Colorado Springs, accompanied by three videos conceived and written by MV. September 29: DWS Investments hosted Let DWS Help you Prepare for the New Regulatory Frontier — a web seminar for retirement plan sponsors. Description: “Regulations concerning participant advice will again change the fiduciary landscape. Join our session that focuses on the aspects of the regulation most relevant to your plan. Learn the important nuances of the proposed regulation, how you can get prepared and gather insights on the growing need for advice.” Host Ronald Cohen, Head of DWS Investments Retirement Services. Register here. September 9: PLANADVISER Magazine sponsored another of my authored webcasts: New DOL Investment Advice Regulations: Finding the Right Level of Support, hosted by Ronald A. Cohen, Managing Director, DWS Investments, and Jason Roberts, Partner, Reish & Reicher, moderated by Nevin Adams, Editor in Chief, PLANSPONSOR and PLANADVISER Magazines. Playback of the session, for financial advisors only, can be accessed here. July 12: Allstate launched its new life insurance policy GoodForLife for which I wrote core wholesaling and advisory narratives and materials. Details here. June 23–25 I attended Morningstar 2010 and will write up everything and post it in the Journal. Eventually. Meanwhile, see the Preview. Please check out clients and projects, capabilities, and the Journal.